It seems as though we can’t start or finish a sentence in the channel nowadays without saying “cloud computing.” Just 10 years ago, cloud computing was a nascent concept that seemed somewhat fantastical. Today, cloud computing is the imperative. Vendors are looking to either migrate their offerings to a cloud-based service or transform their sales model to a cloud-like recurring revenue model. 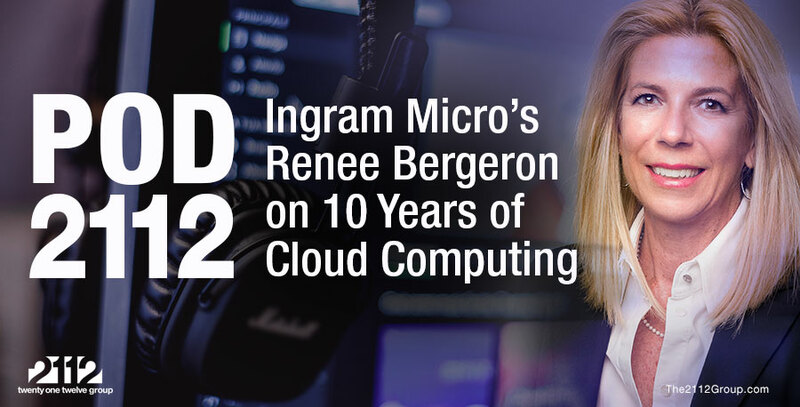 Ingram Micro Cloud’s Renee Bergeron joins Pod2112 to talk about the evolution of cloud computing, cloud marketplaces and how IT vendors and solution providers can chart their cloud strategies.